MANITOWOC - Becky Brooks sliced a head of iceberg lettuce on a paper plate in her Manitowoc kitchen, listening to her granddaughter, seventh-grader Bianca Michel, and daughter Danyell, 17, chatter about their school day. 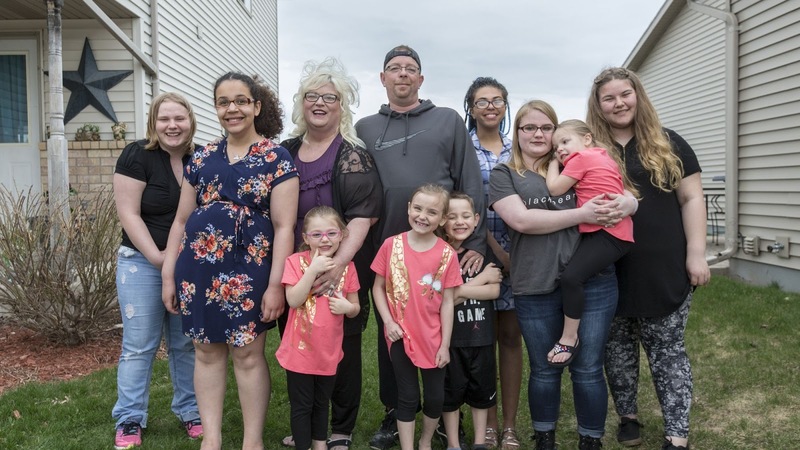 As the mother of five grown children and nine kids adopted through foster parenting, Becky is used to multitasking. While the girls talked and giggled, the 58-year-old stay-at-home mom boiled water to heat hot dogs for the family supper, sliced buns and pulled out three bottles of salad dressing, stopping the conversation to ask kids — ranging in age from 3 years old to 20 — if they wanted bun or no bun, olives or pickles, milk or juice.